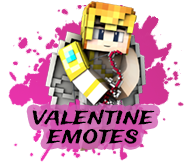 Get lovey dovey with the Valentine's Day Emotes Pack! After you have purchased the emotespack, go in-game and do "/em". 2. An emote GUI will open. If your purchase went through, you should see the emotes you purchased. 3. Simply click on the emote to perform it! 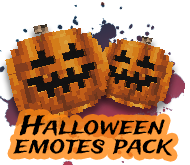 Get spooky with the Halloween Emotes Pack!